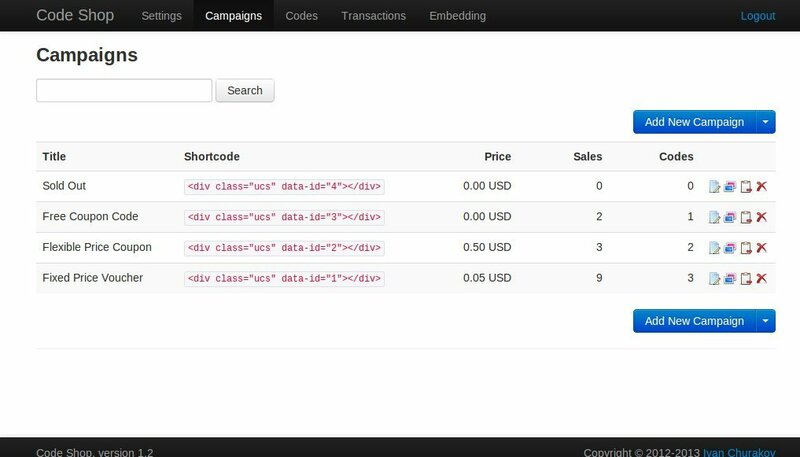 Code Shop is a powerful widget, which allows you to sell coupon/voucher/license codes directly on your website (even if it is plain HTML-website). It handles payments through multiple payment gateways (PayPal, Payza/AlertPay, Skrill/Moneybookers, Authorize.Net, InterKassa, Perfect Money, BitPay and Stripe) and can be easily integrated into any webpage by inserting JS/HTML-snippet. With this widget you don’t have to install complicated shopping carts and create their design to match your website. 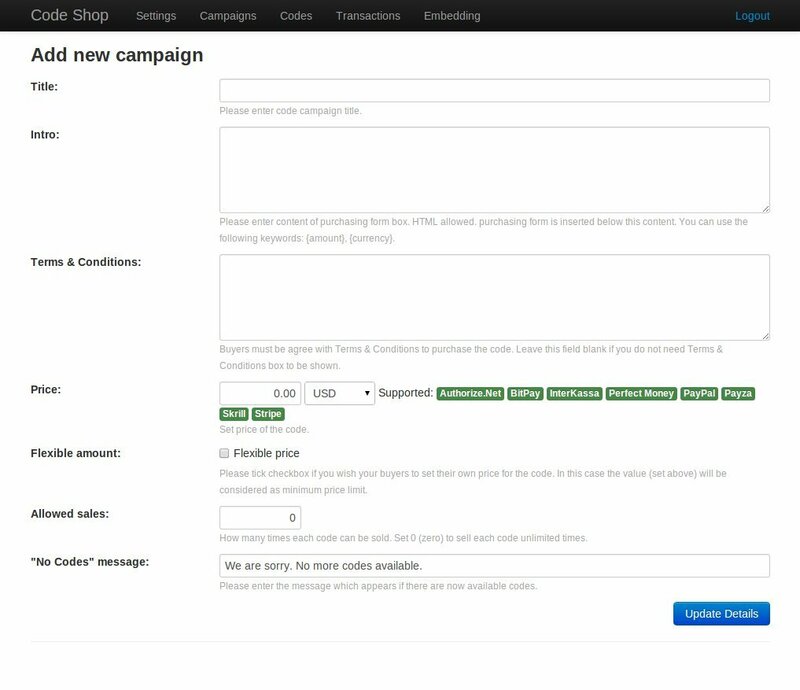 Code Shop is the easiest and perfect way to distribute coupon/voucher/license codes and monetize website. 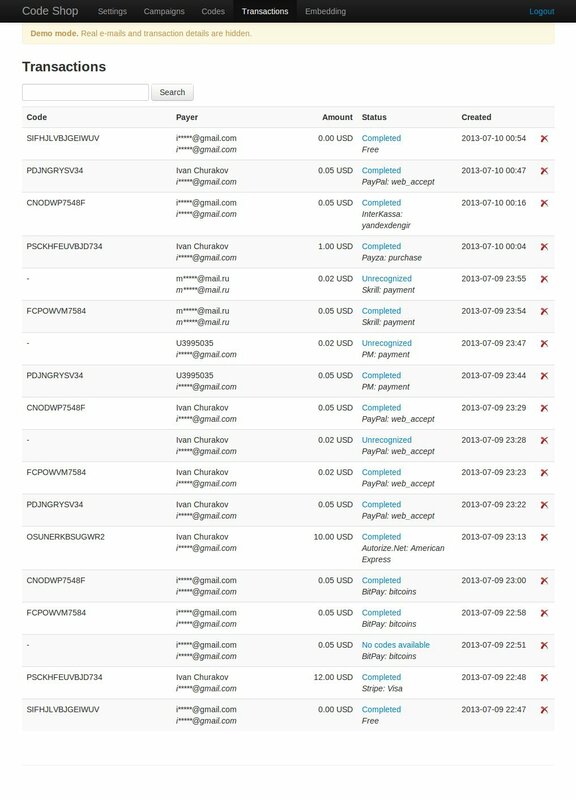 This is a package of Halfdata Admin Panel and Code Shop plugin. It allows you to use plugin with any website. Unfortunately, this package is not compatible with old Code Shop script. You must install it from scratch. 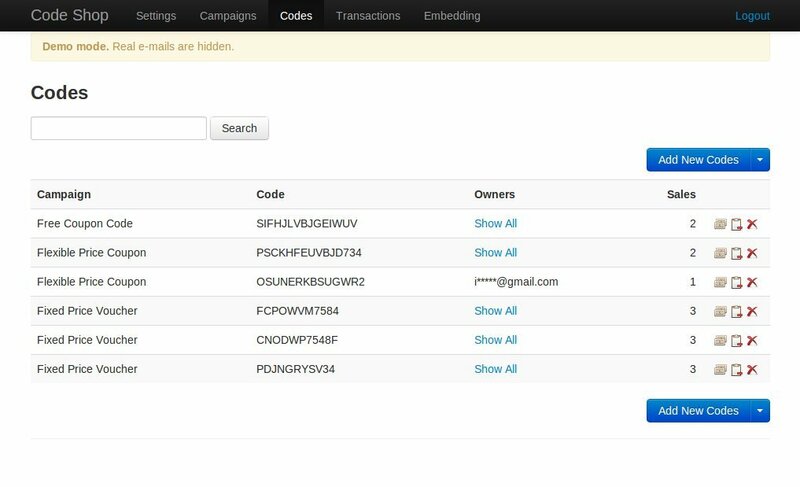 Sell coupon/voucher/license codes on website: use this script to sell codes on your website. Multiple payment gateways: PayPal, Payza/AlertPay, Skrill/Moneybookers, Authorize.Net, InterKassa, Perfect Money, BitPay and Stripe. Fixed price supported: sell coupon/voucher/license codes for fixed price. Once finished, go to Dashboard and click “Code Shop” box under “Installed Plugins” section. It activates the plugin. If you have any questions, please fill free to contact us.